Until relatively recently, DVD writers were the preserve of professional filmmakers and digital media creatives; high costs and a limited choice meant that most members of the public did not have the ability to burn their own DVDs. Today, however, DVD writers are a standard fixture on most home computers, while external DVD writers can be cheaply and easily attached to PCs that do not include them. This, in tandem with the tumbling costs of DVD discs, has meant that most aspiring videographers can now burn their films to DVD and share them with friends and family – or simply play them on their own stand-alone DVD player. 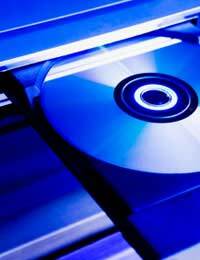 To begin with, you should understand the nature of the DVD format. DVDs come in one of two versions; write-once or rewritable. Predictably, write-once discs can only be burned to a single time, while you can add more data to rewritable discs. However, many standalone DVD players will not read rewritable discs; as a result, these are more frequently used for data storage. DVD writing is now built into Windows and Mac OSX. As a result, it is possible to burn DVDs with just a few clicks; the process is very similar to that of burning a conventional CD. If you are burning a DVD directly from your operating system, you should first drag and drop the relevant video files into the DVD drive folder. You will then be given the option of burning a video or data disc. This is crucial: if you want your DVD to be viewable on stand-alone DVD players, you must select video disc. Data discs are readable only by computers and some specialist DVD players. It is important to note, however, that the built-in burning facilities of Windows and Mac OSX have a number of significant drawbacks and limitations. For example, if you are burning multiple video files to the same disc, determining the correct order for playback can be confusing. As such, you may wish to use dedicated software. There are many freeware applications for this purpose; CDBurner XP is particularly good for Windows users. Dedicated burning software normally consists of a number of ‘panes’. As such, you are likely to see a navigation window from which you can locate the clips on your computer, along with a preview pane and a window showing the clips to be burned to the DVD. You can normally drag and drop the clips for burning in order to determine their playing order quickly and easily. More advanced DVD burning software also gives you the option to create a basic menu for your DVD. This is very useful if you have multiple clips or scenes on the same disc; it will allow the user to quickly navigate around the DVD, rather than laboriously fast-forwarding or rewinding through hours of footage. Finally, it is important to remember that DVDs are assigned ‘regions’, depending on where they are intended to be played. If you use American software for burning your DVDs you should make sure that the software is set to burn Region 2 or Region 0 discs; this will ensure that they are readable on European DVD players.